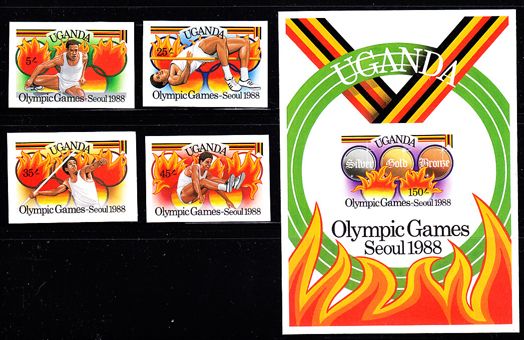 5424 EP UGANDA (1988) Various sports. Set of 4 imperforate proofs + S/S. Scott Nos 607-11, Yvert Nos 502-5,BF77. Seoul Olympics. 2230 EP UGANDA (1997) Paul Harris*. Combating hunger*. 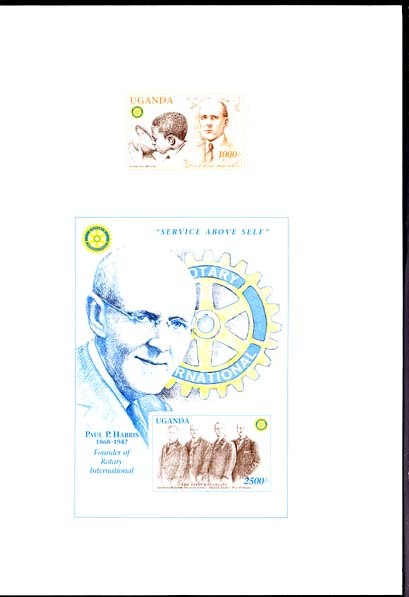 Early Rotarians*. Imperforate proof of stamp and S/S mounted in House of Questa folder. Scott Nos 1494-5. Only a few exist.